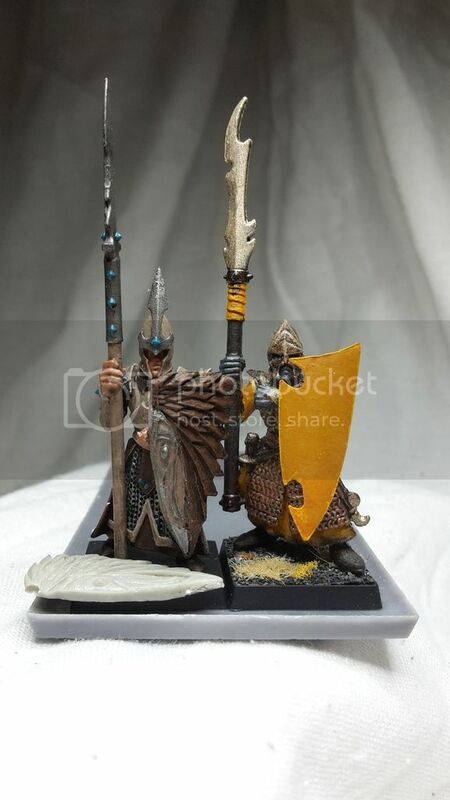 Seriously, google is full of TW:WH2 pictures but I failed twice finding an image of an old (6th Ed) warrior beside a “new” (8th Ed) one. To see if they mix or not, and if I need some bits from the new box whether I would want to use the rest of it or order only the bits instead. Sorry I only have the old version. The new ones from memory are all one piece - I don't think they are overly compatible with each other. They only need to be optically compatible. I see no problem cutting off a head or ten if the rest looks well. I have both and they aren't very compatible. The 6th edition ones are a tad smaller in scale, and their style is quite different. If I find the time, I'll try to get a picture of two of them side by side. This would be great! Thanks in advance. It would help judging which parts are responsible for the difference in styles. Edit: if you place the new models in the last ranks and the old one in front, I think it can look good when modellled correctly. Tbh, I never built my old warriors. Crossbowmen, corsairs, slaves counting as warriors incl. some handlers, yes, but never the original models as-sold. Which means that there would be every freedom I need to position them according to the new ones. I am in Indonesia until March, so no comparison picture until then. Thank you, this pic should be quite helpful already! I took a couple of pictures of two different warriors. Hope this is what you were asking for. Indeed it is. Thank you very much! I was expecting the old warrior’s trunk holding hand to look much more clumsy compared to the new one. On the other hand, I didn’t expect the height to differ that much. 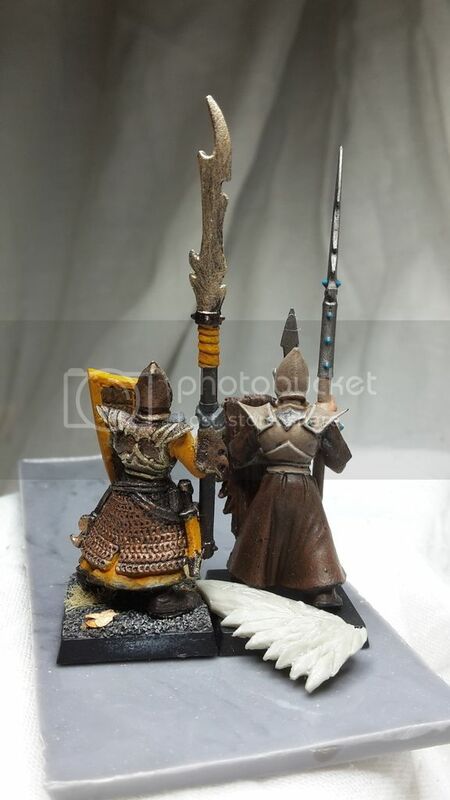 I’ve ordered the new warriors, but I need know now: How thick is the pole of their spears? I’d guess about 1.5 mm, or is it slightly less? To my eye it is at least 1.5mm in diameter. And probably just is exactly that. Not smaller, in any case.